* November 2008 – Kelly Chang Rickert emphasizes the importance of paying child support, even in a bad economy. See article, “Going to Court for Child Support” on Divorce360.com. * October 2008 – Kelly Chang Rickert quoted in GALA Magazine about Sharon Stone’s custody case. * July 2008 – Kelly Chang Rickert discusses Christie Brinkley’s divorce tactics with Chris Harrison on Hollywood 411. 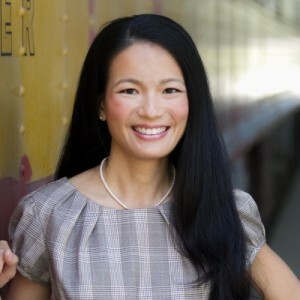 * June 2008 – Kelly Chang Rickert is named a Rising Star Family Law Attorney by SuperLawyers and Los Angeles Magazine. * May 2008 – Kelly Chang Rickert discusses Britney Spears’ latest findings with Chris Harrison on Hollywood 411. She is quoted by Divorce360.com on alimony issues. * April 2008 – Kelly Chang Rickert gives expert commentary on taking divorce public on YouTube. * March 2008 – Kelly Chang Rickert in LawyersUSA lead story. * February 2008 – Kelly Chang Rickert is TV Guide’s legal expert on Britney Spears’ case. * January 2008 – Happy New Year! More Britney Spears commentary by Attorney Kelly Chang Rickert on TV Guide, “Hollywood 411”.